An article stating the need to protect biometric data appeared in the IEEE spectrum magazine. Not a lot of new information, a good summary of the threats as biometrics are being used more and more as authenticators. Many years ago I was involved in a research project looking to use tiny differences in processing time inside a computer as a way to fingerprint the device. The idea was not unique, I guess that at the same time many were busy looking for similar things. 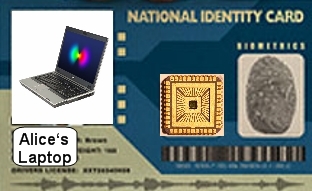 The reason was that in the framework of Internet security protocols such as SSL, if each party can fingerprint the other party’s computer, that will add another dimension to the development of a strong authentication scheme. Eventually the company supporting the research run out of interest and money and I forgot all about the idea until I recently read the news. 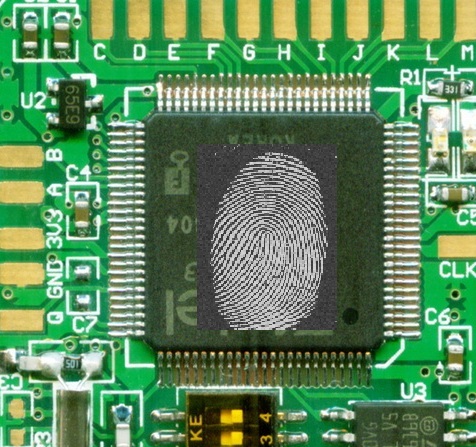 Enter the Fingerprint Extraction and Random Numers in SRAM (FERNS) method developed by Holcomb, Burleson and Fu of the University of California Berkeley. They analyzed the initial state of the cells of a 512 kb Static Random Access Memory (SRAM) after power up and discovered that the stable states of some cells representing the bits were random, that is they have equal probability to be 1 or 0, while others cells were skewed to start as a 1 or as a 0. This property of the cells is due to imperfections of the fabrication process and are impossible to control. A paper describing Burleson’s group work is going to appears in the IEEE Transactions on Computers. ….. We use experimental data from high performance SRAM, and the WISP UHF RFID tag to validate the principles behind FERNS. We demonstrate that 8 byte fingerprints from an SRAM chip are sufficient for uniquely identifying circuits among a population of 5,120 and extrapolate that 16 to 24 bytes of SRAM would be sufficient for uniquely identifying every instance of the SRAM ever produced. Using a smaller population, we demonstrate similar identifying ability from the embedded SRAM microcontroller memory of the WISP. In addition to identification, we show that SRAM fingerprints capture noise, enabling true random number generation. We demonstrate that the initial states of a 256 byte SRAM can produce 128 bit true random numbers capable of passing the NIST approximate entropy test. The possibilities for the application of this technology to authentication and key generation schemes are enormous, specially in the field of portable devices. To have an entropy generator “in a chip” is great, if you get that together with a fingerprint of the chip is wonderful news. Certainly we’ll hear more about it. Password selection tips abound and as long as your password has enough entropy, users data is somewhat out of reach of most hackers. Despite the advice of security gurus, the manifest limitations of the average human brain for generating and remembering more than a few passwords is a physical barrier to a widespread adoption secure practices. Password managers may help to keep your passwords organized. They have functions to generate strong passwords and can connect directly with browsers or e-mail programs. Another way around is the OpenID network that allow users to have one identity for multiple on-line services. The OpenID protocol is inclusive enough that can work as an Authenticator using biometrics or smart-tokens. Open ID is still in the adoption phase, not all online services accept it. The trouble with the use of MD5 in digital signatures recently uncovered by Sotirov et al. is common to other hash functions. NIST has been discouraging people to use MD5 and even SHA 1 since many years ago. A good account of this was posted by Dustin Trammell here. 1. It is a one-way hash function. 2. It is hard to find two distinct messages that hash to the same result . 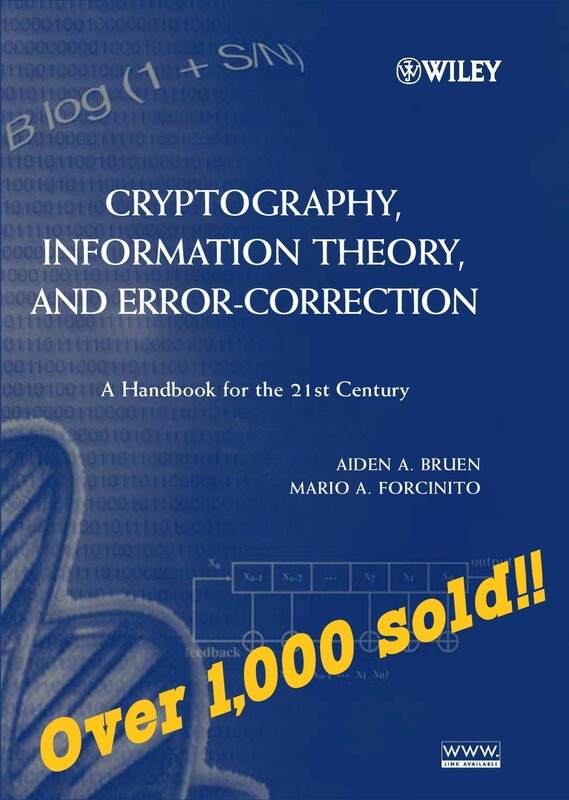 Cryptographers talk about “relatively collision free” hash functions. A good hash function should be designed with the Avalanche Criterion in mind. The Avalanche Criterion (AC) is used in the analysis of S-boxes or substitution boxes. S-boxes take a string as input and produce an encoded string as output. The avalanche criterion requires that if any one bit of the input to an S-box is changed, about half of the bits that are output by the S-box should change their values. Therefore, even if collisions are unavoidable, there is no way to generate two strings with the same hash value other than brute force.